20th of July saw us all coming back together again to talk about how we were getting on, who we were talking to. 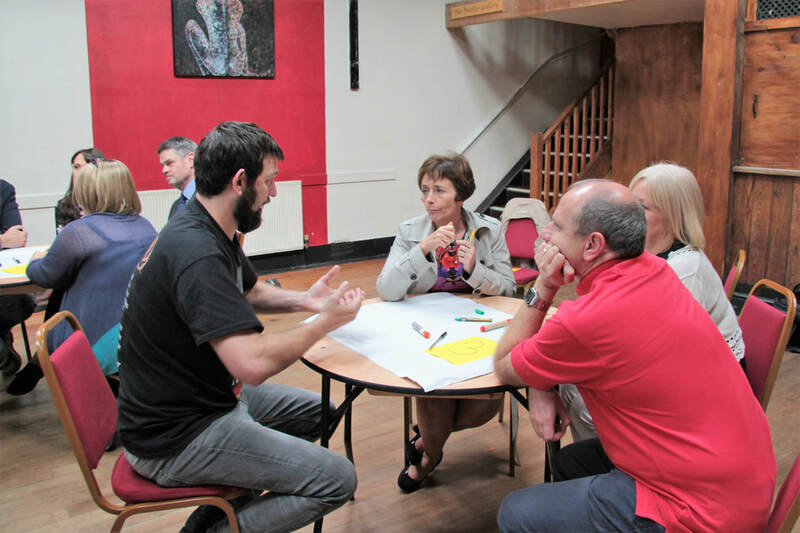 To think about the conversations we wanted to have with each other and with our varied and very different communities and to find out what support was needed for people to keep practicing dialogue and conversations in the community. 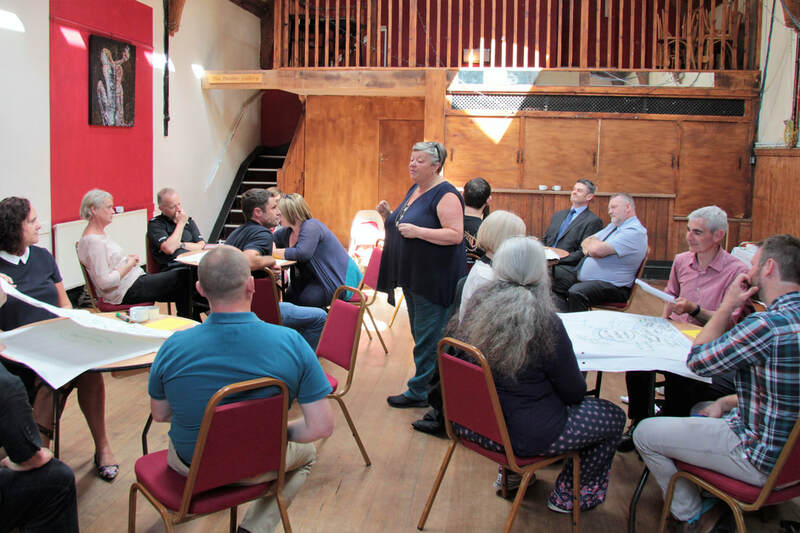 We also hosted 10 new people who came along to find out more about what was happening and to have a " taster" to see if they wanted to sign up for the next training in October. Jacqui spoke about where this idea for building a social movement on health had come from and Andy spoke about how we were always trying to catch up with ourselves and how little space there was to really talk about homelessness, poverty, isolation. How our current systems were overloaded and not dealing with many of the root causes of ill health. "We can't begin to tackle this alone, it will take all of us in a collaborative effort. " we have to learn to listen to those with the real lived experience, people who have expertise. It only takes 3% to build a movement and we need begin, there is 15 years difference in life expectancy between Westgate and Silverdale and thats not good enough". He explained that Art of Hosting was not the moment itself, it is a bunch of practices and tools that open space for good conversations and solid connection between people so that ideas and collaborative projects can emerge. 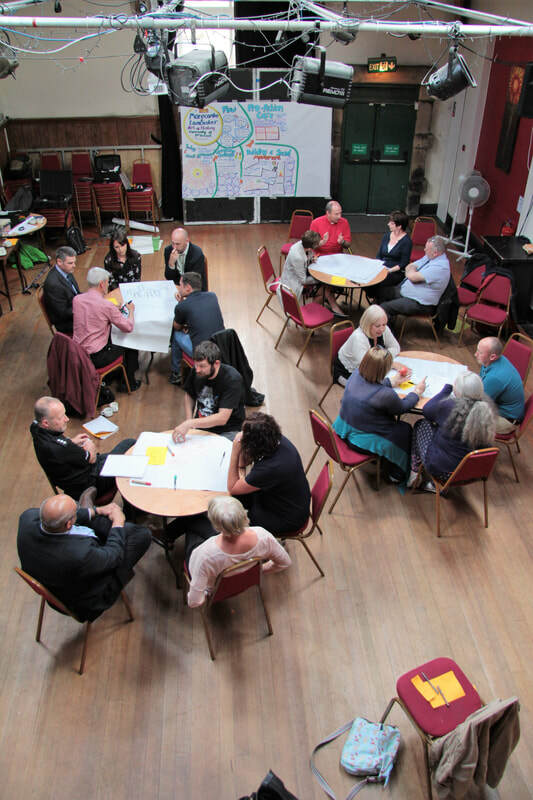 "Are we willing to have a relationship of co designing with our communities? Are we willing to be changed ourselves? How do we begin"? Then we shared some of our challenges and the connections between us, sharing in pairs what we were learning and struggling with. Finally we had a pro action cafe on 4 projects, each round of conversation offering advice, questions and support to 4 project holders who each brought a question they were working on. How do we raise happy healthy children? How do we deal with issues in our food club? How to involved the entire community in health and wellbeing? How do we decide priorities for health and well being? Each round of conversation had a question and people moved twice between the tables and projects, listening and offering new perspectives. Whats the quest behind this question? Whats missing, what are they not seeing? Project holders finally fed back some of the things they had found helpful in this collective experience and shared their next steps. 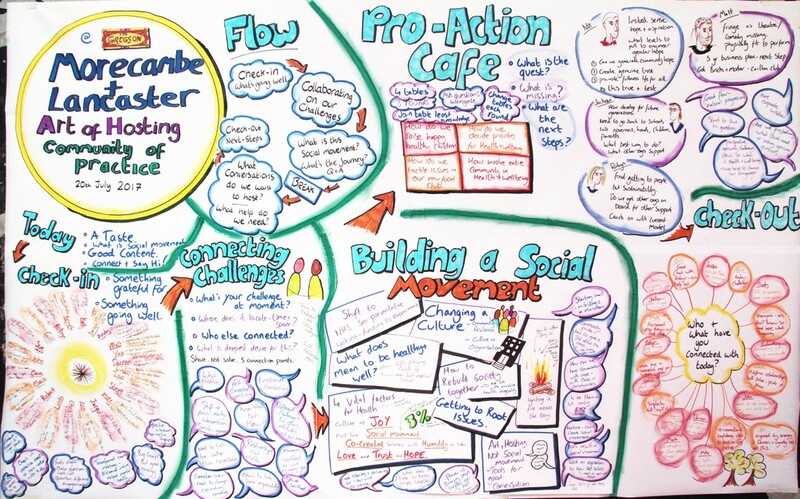 Finally there was an invitation for people to join us for the next training on the 4th - 6th October and to help us spread the invite far and wide so we continue to build this community of conversation hosts and this social movement for a more healthy Morecambe.